Bridport - Cheryl N. White, 68, died unexpectedly on Thursday, May 3, 2018 of a heart attack. Cheryl was born April 8, 1950 in Panton, VT to the late Floyd and Shirley (Latrell) White. 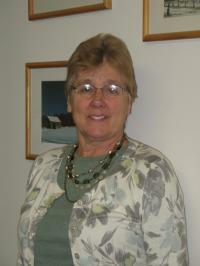 She attended Vergennes Union High School in the class of 1968. Cheryl began her journey with the Valley Voice as a secretary for the original owners of the paper, John and Betty White. She continued to work for them until their retirement, at which point she purchased the newspaper she had come to love so dearly. Over the next 40 years, she continued to pursue the idea that people would like to read stories about the people of The Valley, and to share and celebrate news among friends. With that notion, she began a quest that has, for over four decades, been the Valley Voice we know today. As owner and publisher, she committed herself to writing about the community she valued so dearly. She has been a steadfast friend and fixture in lives of people for generations. She was a loving wife, mother, grandmother and friend, who unfailingly saw the good in everyone. Cheryl lived by the belief that all people are good, each day is a blessing and tomorrow will always be better and brighter. Cheryl is survived by her husband Dale Logan, her daughters Tammy White of San Antonio,TX and Ann White of Boston, MA; brother Steve and wife Linda White of Whiting: sister Terry and husband Darrell Townson of Toronto Canada; grandchildren Courtney White and Francesca Napiltonia: stepdaughter Jill Logan of Middlebury and stepson Jeff Logan of Milton, Vt; and several nieces and nephews. She was predeceased by her parents and brothers Robert and Ronald White.